Agents of S.H.I.E.L.D. 's season 3 wrapped up a couple of weeks ago, and in just a few short months, it will resume with new episodes to kick off season 4. Here's what I'm hoping to see when Agents of S.H.I.E.L.D. returns this fall. Spoilers for the entirety of season 3. One of my favorite parts of last season was the introduction of Joey and Elena, two Inhumans who joined Daisy's Secret Warriors to work with S.H.I.E.L.D. to protect the world. They're both two very solid characters, and I can't wait to get to know them further (especially YoYo). 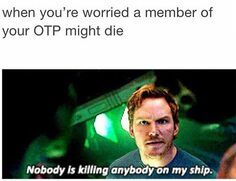 Now that Fitzsimmons are officially a couple, I can't help but be concerned about their fates. Even before they got together, we've had them separated, hurt, sent to the bottom of the ocean, and trapped on a weird blue planet somewhere. They're officially together now, so there's even more at stake. The Whedon family is notorious for causing pain by hurting their characters, so I'm just hoping they somehow stay away from my OTP. As you may know, one of the things that excited me most about the season 3 finale was the introduction of life model decoy technology. You may also know that I'm hoping this will be a way to bring Brett Dalton and Luke Mitchell back into the picture. I want this so badly that I'm officially making it a part of my AOS wishlist this year. Powers-that-be, make it happen! In the event that Ward/Hive and Lincoln don't return, I have no doubt that the LMD technology still means big things for the show. We could have resurrections and doppelgangers galore, which will lead to a very interesting season. Whatever happens, I hope Dr. Radcliffe, Aida, and the LMD program will be a huge part of S.H.I.E.L.D. 's future, and I can't wait to see what happens. I felt that Coulson got a little lost last season, so I'm hoping season 4 can bring him more into focus. Rumor has it he's not the S.H.I.E.L.D. director anymore, and he's returned to working in the field, so hopefully Coulson returning to his roots as a field agent will bring him back to the Coulson we all know and love. ★ Who is the new S.H.I.E.L.D. director? Is it Talbot? (This would take his role in the show to a whole new level.) Maria Hill? (Please bring her back.) Nick Fury? (I can dream.) I'm extremely excited to see who's holding S.H.I.E.L.D. 's reins now... and why. In season 2, Jemma disappeared into a monolith... in season 3, Daisy disappeared into thin air. Where did she go? Why did she leave? What is she doing? I'm looking forward to having all these questions answered and more when Agents of S.H.I.E.L.D. returns. Whatever happens, it will be a wild ride. What's on your wishlist for Agents of S.H.I.E.L.D. 's season 3?